The 3D printed model of Squeaky© is a valuable learning tool that was developed in support of the "Stay still, Squeaky" audio story app. 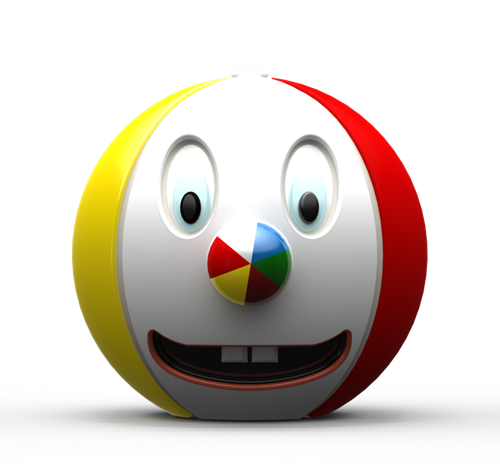 The model allows the child to get tactually familiar with Squeaky©, the main character in the app. Sonokids offers a FREE license to print and download the file. I acknowledge that I have read and understood the Ballyland Disclaimer and License Conditions. Note that this is a learning tool, not a toy. Children should be supervised with the model at all times. Not suitable for children under 3 years of age. Sonokids does not accept any liability for the print quality of the 3D printed model. Sonokids does not accept any liability for any personal or material damage as a result of the 3D printing or further processing and/or use of the learning tool, or any damage to or originating from the learning tool or the production process, the processing, and painting as suggested by Sonokids. Printing, handling, and painting is done at Licensee’s own risk. All copyright of the 3D print model of Squeaky© remains with Sonokids®. Sonokids provides with you a free license that allows you to print the 3D model, or to have it printed by a third party, under the strict condition that you don’t resell the file, or resell the printed model. A license to print explicitly does not give the licensee the right to sell the printed 3D model for money. Schools or other educational organizations may also print the 3D model as a learning tool for multiple students, as long as they provide the tool for free, or at real cost for printing, materials etc. By downloading and printing the .stl print file of Squeaky, you confirm that you have read the disclaimer and that you agree to the conditions as set out above. Printing costs are NOT included with the file, and may vary. If you don’t own a 3D printer yourself, you may find one at a school or support organization for the blind or visually impaired, a library, or a nearby 3D print shop such as at 3D Hubs. ABS is recommended as it allows for easy painting, but other materials can be used as well. The leftover support structure needs to be carefully scraped or sanded away (This will be done for you at a professional 3D print service). If you want you can hand paint some of Squeaky's features. Use child safe paint. You can also choose to leave the model unpainted! Its tactile features will still be as recognizable and valuable as ever.